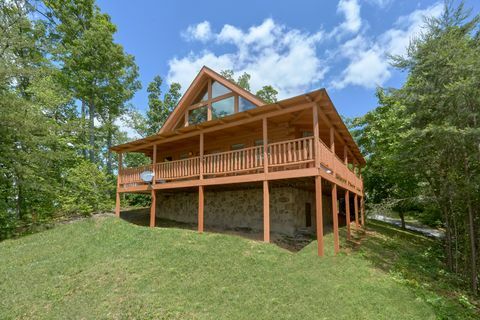 "Autumn Run" offers a great opportunity to relax during a Smoky Mountain sunset and capture breathtaking views of neighboring mountains from this private cabin with hot tub! 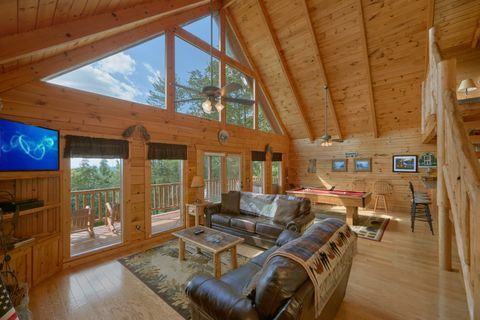 Large gabled windows bring the beauty of nature indoors. 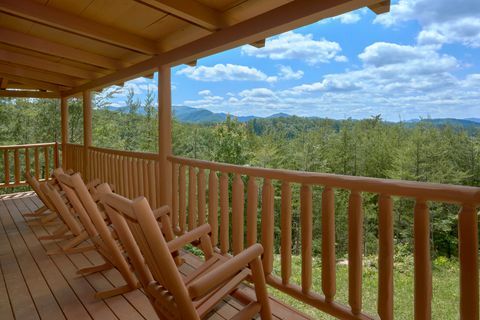 Guests at this cabin in Sky Harbor Resort TN repeatedly express the ease and relaxation that comes from resting in this cabin's rocking chairs on deck as they admire the gorgeous views. 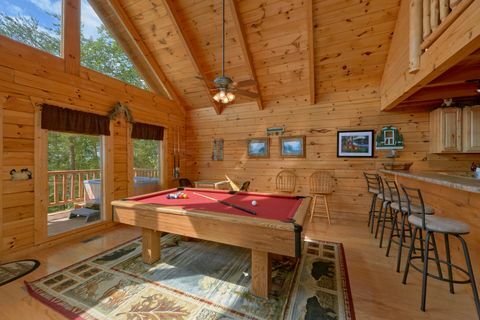 This gorgeous rental cabin with pool table is conveniently located between Pigeon Forge and Gatlinburg in Sky Harbor Resort TN. 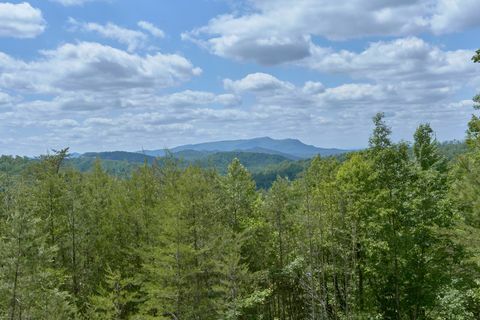 While guest will want to spend hours enjoying the views from their mountain getaway, there are always plenty of Smoky Mountain attractions nearby. This private cabin with a hot tub's centralized location, off the spur, enables you to have quick, easy access to dozens of nearby activities either Downtown Pigeon Forge, Gatlinburg or in the Great Smoky Mountains National Park itself. 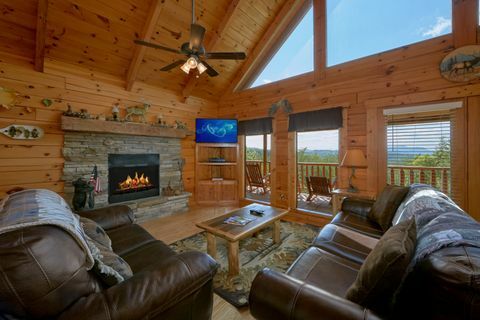 As another Smoky Mountain sunset passes, let the fun continue by relaxing in front of the stacked stone fireplace during cooler months or by playing games of pool or enjoying the large hot tub just anytime. 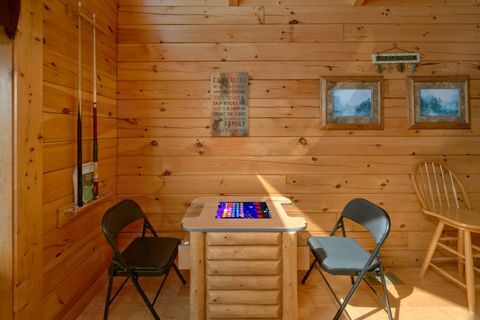 Have a blast trying to set the high score on the multi-cade arcade game. 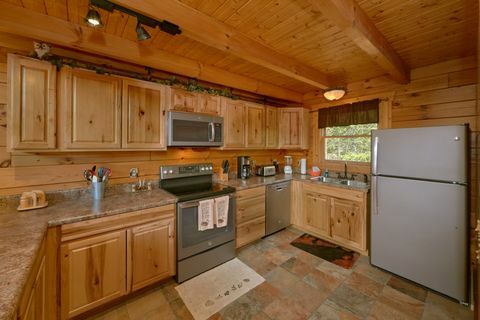 Save on snacks and meals with your rental cabin’s fully equipped kitchen. 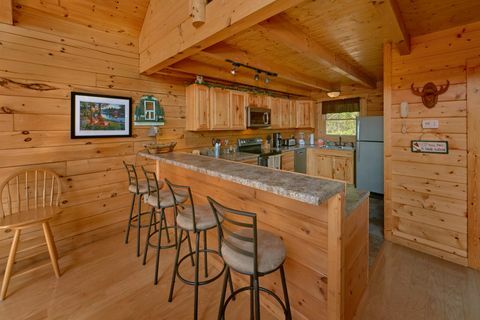 With the provided washer and dryer in the cabin, there is no need to pack so many clothes. 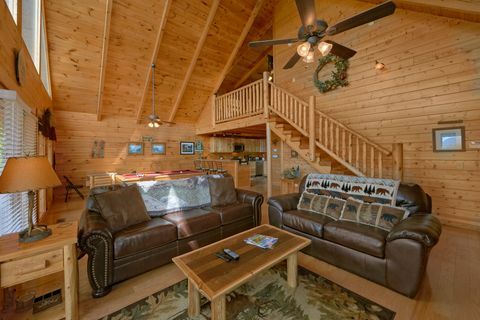 Additionally, your cabin provides WiFi Internet to use during your stay. 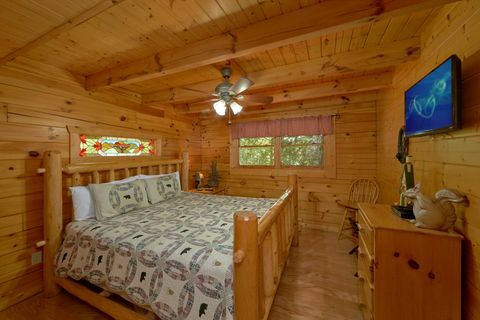 With two king-size beds and a sleeper sofa, "Autumn Run" can easily sleep up to 6 guests in comfort! 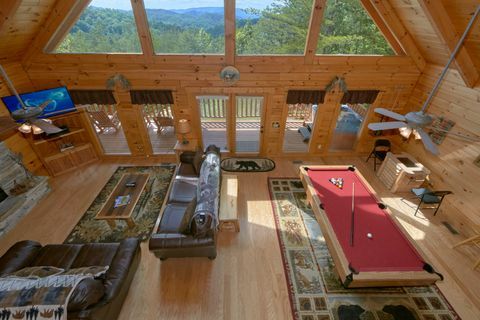 "Autumn Run "is the perfect vacation cabin in the Smokies for small families and honeymooners. So, what are you waiting for? 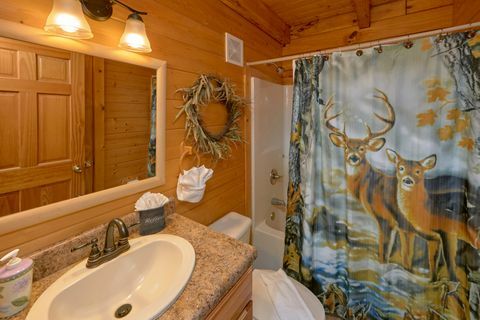 Reserve your private cabin with hot tub today!